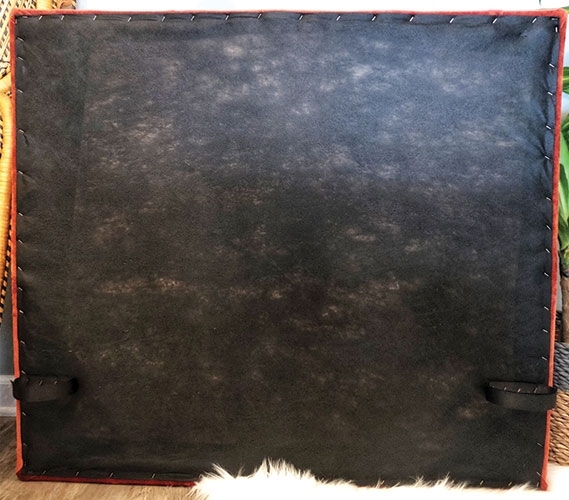 Adding a dorm headboard to your Twin XL bedding is like adding another piece of college furniture to your dorm room. 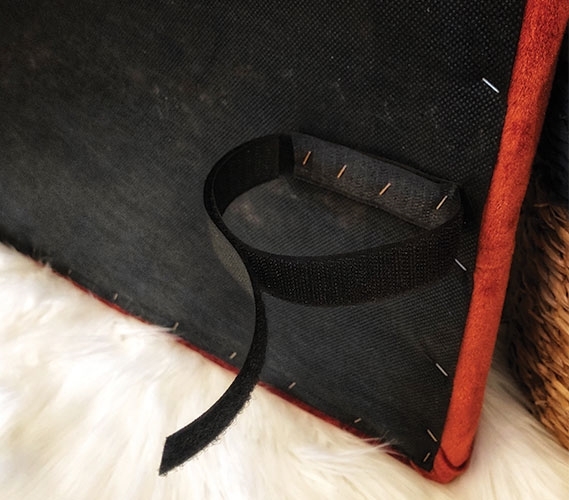 The size of our college headboards combined with the formidable construction of these dorm items makes them a sturdy piece of your Twin XL bed. You won't have too many options on where to sit in your dorm room, it's usually your college computer chair or your Twin XL bed. Sometimes your dorm chair can get a little uncomfortable, so you have no choice but to go for your dorm room bed. Without a comfortable headboard to prop yourself up against, your Twin XL bedding can start to lose its comfort if you're sitting on it. 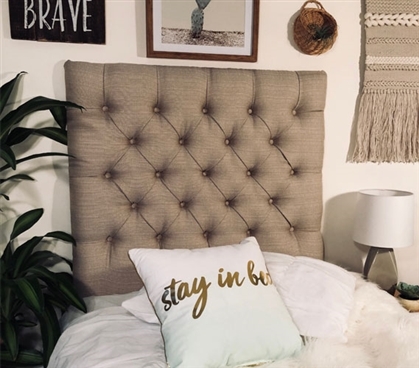 Dorm headboards are essential for giving your extra long Twin bed the support you need! 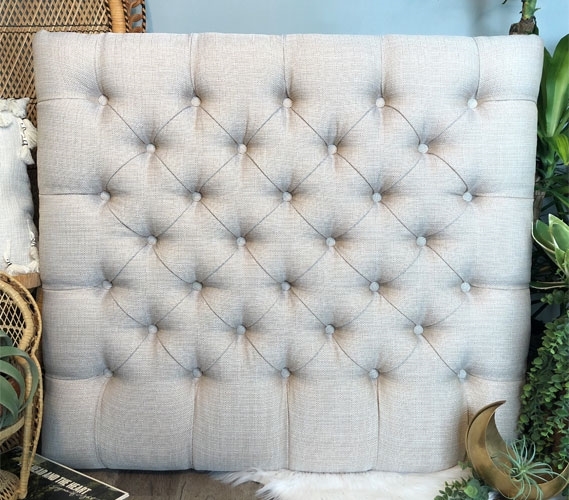 The Linen Latte Tufted College Headboard will also add comfort to your Twin XL bedding. 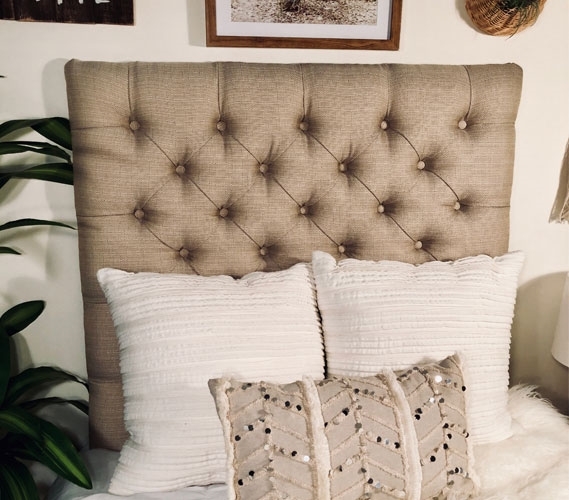 Although it is constructed of sturdy wood, this beige dorm headboard is also made up of thick foam and covered in a soft material, giving you some cushion when you're using it. 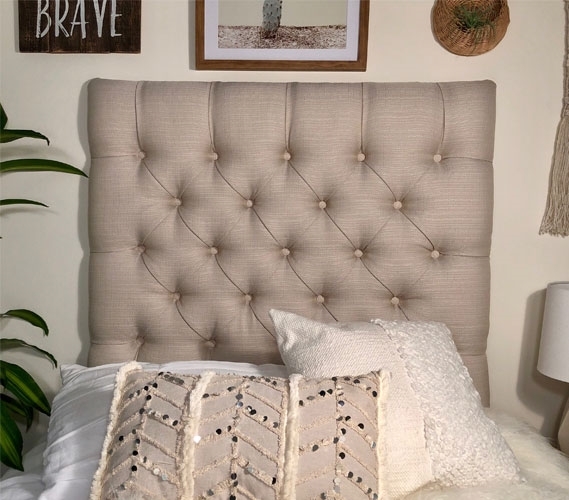 This beige college headboard also has a pleasing look to help enhance the appearance of your dorm decor. 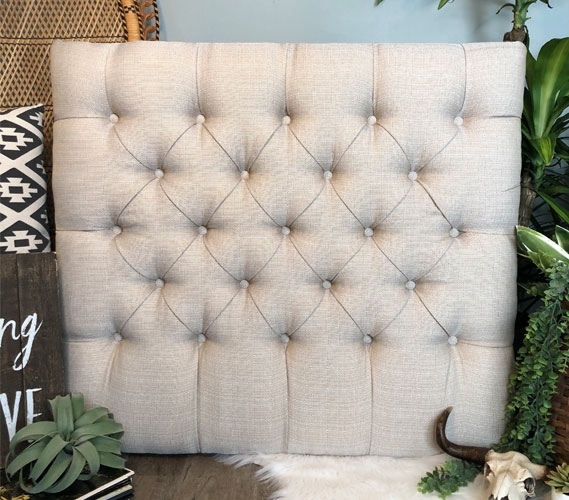 This neutral college decor item has an appealing pintuck design, choose between a square tufted pattern and a diamond tufted pattern for the ultimate Twin XL bedding look that showcases your style.